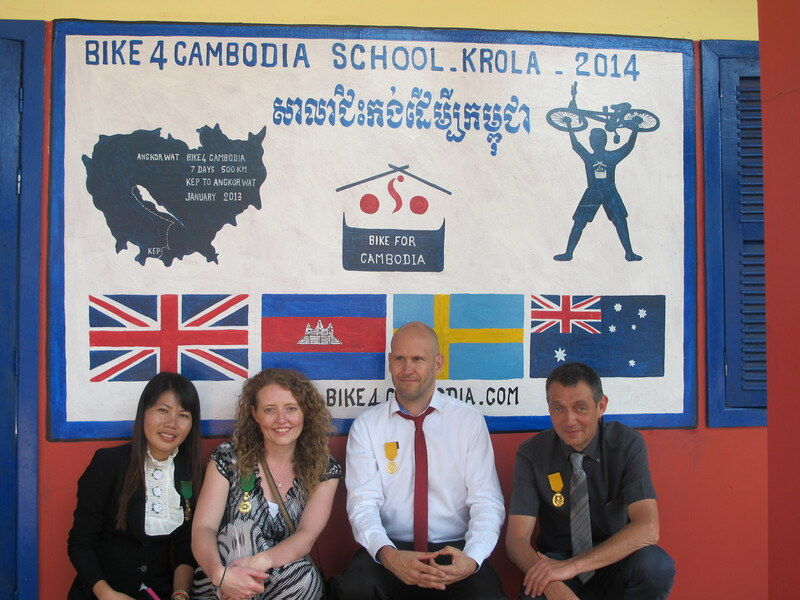 We are very proud to announce that Krola School was officially opened on February 15th 2014. 4 years after our first visit to the school and many different fundraising projects raising money towards the school it was finally ready to be opened. It was a beautiful day in Kampong Cham and a lot of people from Krola village, a lot of visitors from abroad and some promionent guests all attended the ceremony. Krola school had been part of Bike 4 Cambodia’s projects for a few years with both extensive toothbrushing projects and free english teaching. Now with the new school we believe the students at Krola school has very good facilities and good chances to both improved health and to improved education.